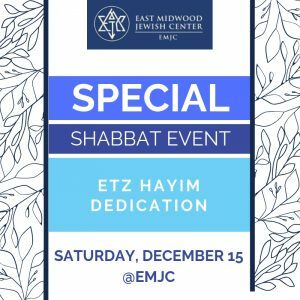 Sisterhood is pleased to announce that on Shabbat Vayigash, December 15, we will be dedicating more than twenty copies of the Etz Haim chumash that many of us enjoy using. The new books have been purchased by members of our congregation. The names of our generous donors will be announced. Please join us. We look forward to seeing you!